The game is based on the toy franchise rather than the Michael Bay films. 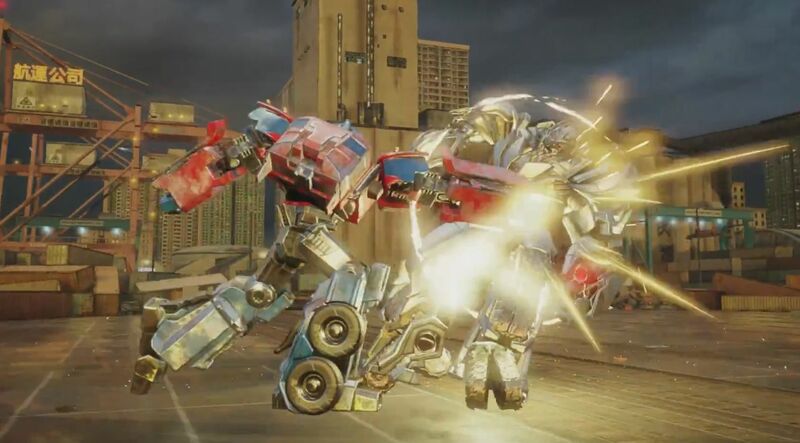 Developer Kabam and toy juggernaut Hasbro announced Transformers: Forged to Fight, a fighting game that mixes in RPG mechanics. Targeting a spring 2017 release, the game is based on the Transformers line of toys and is set in a "strange new world where multiple realities collide." Some of the gameplay options planned for Transformers: Forged to Fight include one-on-one fights, base raiding, and RPG elements. Optimus Prime, Bumblebee, Megatron, Starscream, and Grimlock have been confirmed for the game, which is being developed by Kabam Vancouver, purveyors of Marvel Contest of Champions and Fast & Furious: Legacy. "Generally our approach to RPG is to not overwhelm players right away, but roll out—no pun intended—the depth as they progress through the game," said Kabam executive producer Mike McCartney in an interview with GameSpot. "Fortunately, RPG elements are becoming increasingly popular and understood by all sorts of game players, so adding more depth doesn't tend to overwhelm. People are ready to be engaged and build out teams that suit the fight or event they're involved in," McCartney continued. Transformers: Forged to Fight will be positioned as a free-to-play game. Although McCartney didn't explicitly state the type of microtransactions players should expect, they sound cosmetic based on his interview. "Every player will experience the same storyline and have access to all the same in-game content," he said. "Our team works hard to ensure the game will be balanced, so that those who choose to spend money won't have an advantage against players who choose to spend time to acquire the same assets."